Like any great novel, On the Road has classic sections that read fresh and even more powerful when seen again years later. The most re-readable section of On the Road includes Parts 4 and 5, essentially the novel’s last hundred pages. This is by and large the Mexico trip, which can stand alone on its own raw energy. Here you find Kerouac on a high wire writing super prose, tightly packaged in a limited timeframe. The episode exceeds phantasmagoria and becomes mythic. Characters loom larger than life within the land of ancient Toltecs. Dean Moriarty on the mountain takes on godlike characteristics. The Mexico account delivers the conclusive impressions of all the gang’s journeys. Their experiences have now peaked and they have pushed the envelope as far as they can. They then test their mortality and move close to the edge, near implosion, blindly expecting things to be resolved on their own accord. And, followed by some angels, they are. Mexico City, which they see as a sort of a Bohemian nirvana, quietly becomes the last stop. It’s the last Sal and Dean journey. The romantic innocence that marked their earlier trips has gone, and they are in dire straits. They part ways, each suffering their own variety of illness (Dean’s is delusional, Sal’s is mortal). Restless Dean leaves, and Sal feels abandoned. Even back in NYC their bond never mends. 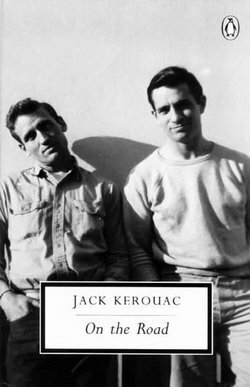 Within this last section, Kerouac artfully makes the symphonic tie-in’s with vital themes and major percussions heard throughout the preceding pages of his story. There is a completeness achieved, beginning with the moment the travelers become one with the Mexico earth and its dirt and insects. Then again when Sal hallucinates the end-game’s apocalyptic white horse. Dean the omni-visionary and perpetrator of convenient truths says he saw it too. Kerouac makes us see it as well. 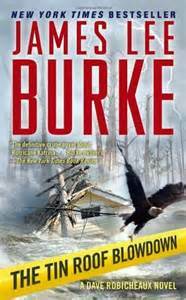 Posted in booknotes on June 24, 2015 by Wm P.